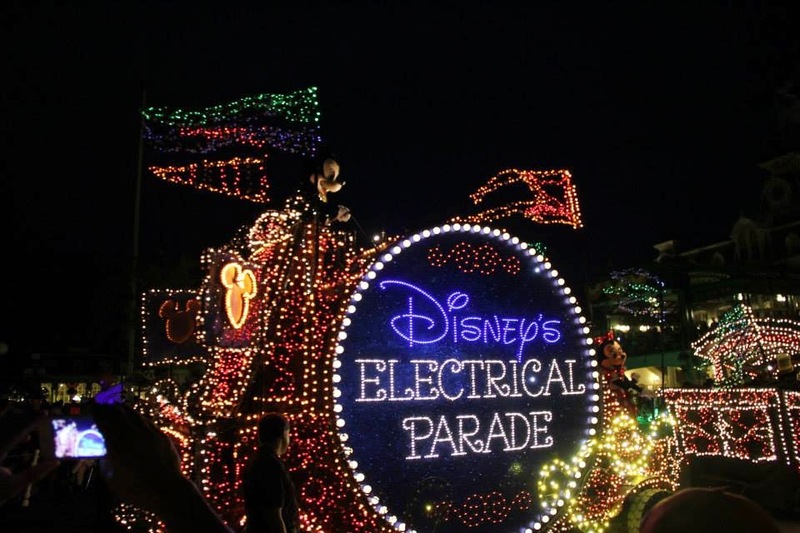 Disney Electric Light Parades | What's the Point? 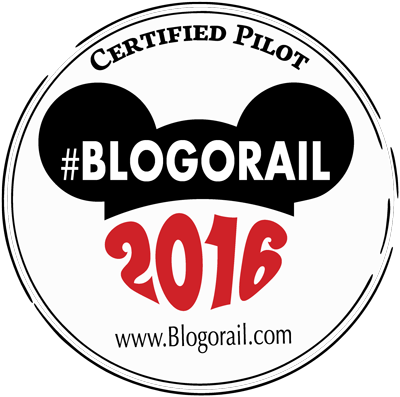 I love the nostalgia that is associated with visiting Disney theme parks. Each visit may be different, but because everything in the parks pretty much stays the same, it feels like coming home. While the theme parks may stay the same trip to trip, they do change over the course of the day. My favorite time of day in Disney theme parks is at night. Everything truly feels magical under the glow of lights. I just returned from Disneyland Resort yesterday and I have so much to report from my first trip as an adult to the place where magic began. Believe it or not there were MANY attractions, shows and experiences I enjoyed MORE at Disneyland Resort than I do at Walt Disney World Resort. It truly surprised me how much I enjoyed Disneyland. There was one nighttime Disney experience that I missed, however - an electric light parade! 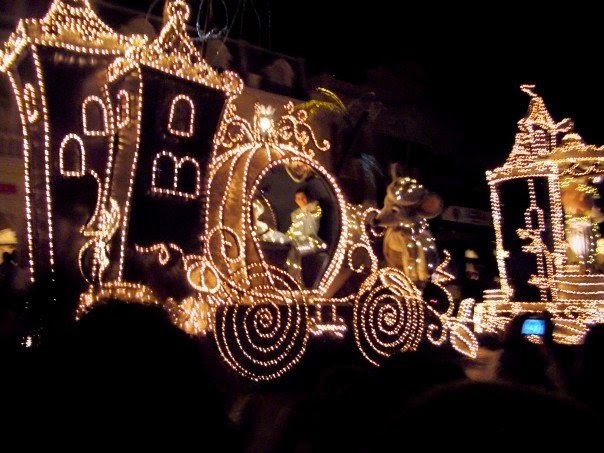 For the past several years, Disney's Main Street Electrical Parade has been a mainstay at the Magic Kingdom at the Walt Disney World Resort. It is an amazing parade, and steps off daily from Main Street. Prior to the Main Street Electrical Parade (and during my entire childhood) SpectroMagic occurred nightly at the Magic Kingdom. The soundtrack was engrained in my mind from 1991 to 2010 when it ran. In fact, it was one of my first Napster downloads! In 2010 SpectroMagic went to Disneyland and the Main Street Electrical Parade came to the Magic Kingdom. It was supposed to be only for the summer. It became permanent. Then last year, as Disneyland made way for their new parade, SpectroMagic was permanently disabled. As much as the nighttime entertainment at Disneyland was amazing, (I'm looking at you fireworks, Fantasmic and World of Color) I did miss a nightly electrical parade. Welcome to the splendor, the spectacle, the sparkling sensation...where the romance, the comedy and the thrill of Disney fantasies come to electric life. And now the Magic Kingdom proudly presents in a million points of musical light, the magical worlds of Disney in SpectroMagic! What parade did you like better - SpectroMagic or the Main Street Electrical Parade? Sound off in the comment section below. I love the nighttime parades! SpectroMagic was my favorite! I am sad it's gone, but at least we can watch videos of it still. I love the Electric Parades. I always feel like a kid straining my neck to get a peek. Spectromagic was my first nighttime parade, ever! As much as I now love MSEP, Spectro will always have a special place in my heart. I will definitely miss it! 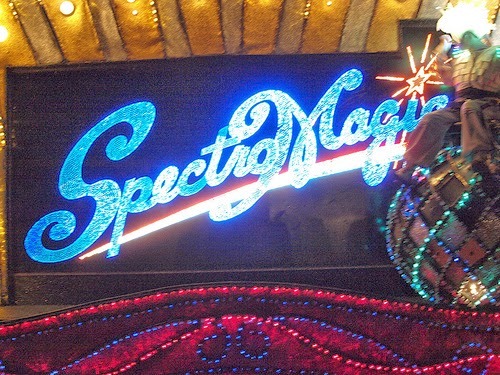 I was sad to hear that Spectromagic had been completely dismantled, meaning there will be no authentic "comeback". 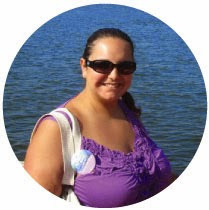 But after seeing Festival of Fantasy, I know that bigger and better things are possible!